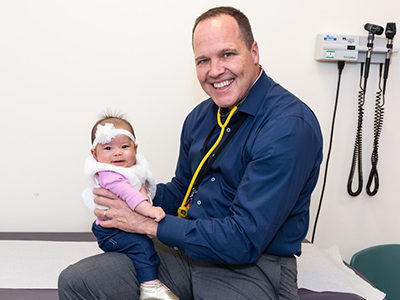 The Feigel family worked with Timothy Kane, M.D., the division chief of general and thoracic surgery at Children’s National, to ensure an accurate diagnosis, coordinate a corrective procedure and support a strong recovery for Kinsley, who just celebrated a 5-month milestone. On Sept. 30, 2018, Elizabeth Feigel gave birth to a healthy baby girl, Kinsley Feigel. Thirty-two days later, Elizabeth and her husband, Steven Feigel, delighted in another hospital moment: Kinsley, who developed a choledochal cyst in utero, was recovering from a surgical procedure to remove an abnormal bile duct cyst, which also required the removal of her gallbladder. 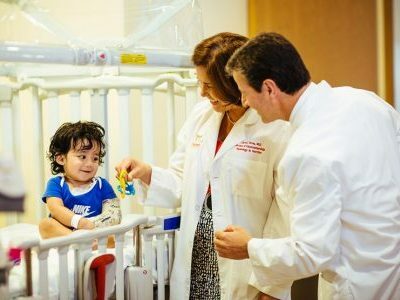 While the series of events, interspersed with multiple hospital visits, would likely create uneasiness in new parents, the Feigel family worked with Vahe Badalyan, M.D., a gastroenterologist at Children’s National Health System, and with Timothy Kane, M.D., the division chief of general and thoracic surgery at Children’s National, to ensure an accurate diagnosis, coordinate a corrective procedure and support a strong recovery for Kinsley, who just celebrated a 5-month milestone. One of the keys to Kinsley’s success was close communication between her parents and providers. Dr. Badalyan and Dr. Kane listened to Elizabeth and Steven’s concerns, explained complex medical terms in lay language, and provided background about Kinsley’s presenting symptoms, risk factors and procedures. Instead of second-guessing the diagnosis, Elizabeth and Steven put their trust into and remained in contact with the medical team, sharing updates about Kinsley at home. This parent-physician partnership helped ensure an accurate diagnosis and tailored treatment for Kinsley. During a 12-week prenatal ultrasound, Elizabeth discovered that Kinsley had an intra-abdominal cyst. Before Elizabeth came to Children’s National for an MRI, she met with several fetal medicine specialists and had a variety of tests, including an amniocentesis to rule out chromosomal abnormalities, such as Down syndrome. The team at Children’s National didn’t want to prematurely confirm Kinsley’s choledochal cyst in utero, but additional ultrasounds and an MRI helped narrow the diagnosis to a few conditions. After Kinsley was born, and despite looking like a healthy, full-term baby, she was transported to the neonatal intensive care unit (NICU) at Children’s National. Dr. Badalyan and Dr. Kane analyzed Kinsley’s postnatal sonogram and found the cyst was bigger than they previously thought. Over a five-day period, the medical team kept Kinsley under their close watch, running additional tests, including an additional sonogram. They then followed up with Kinsley on an outpatient basis to better understand and diagnose her cyst. Over the next few weeks, Kinsley, Elizabeth and Steven returned to Children’s National to coordinate multiple exams, ranging from an MRI to a HIDA scan. During this period, Elizabeth and Steven remained in contact with Dr. Badalyan. They heard about Kinsley’s lab results and sent updates about her symptoms, including her stool, which helped the medical team monitor her status. Meanwhile, Dr. Badalyan and Dr. Kane worked closely with the lab to measure Kinsley’s bilirubin levels. Her presenting symptoms and risk factors, she had jaundice and is a female baby of Asian descent, are associated with both choledochal cysts and biliary atresia. Over time and with the help of Elizabeth, Steven and the pediatric radiologists, Dr. Badalyan and Dr. Kane confirmed Kinsley had a type 1 choledochal cyst, the most common. 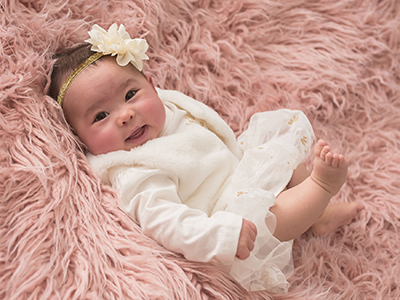 Originally, the plan was to operate at three to six months, but Dr. Kane needed to expedite the procedure and operate on Kinsley at one month due to a rise in her bilirubin, a sign of progressive liver disease. Higher bilirubin levels are common in newborns and remain elevated at about 5 mg/dL after the first few days of birth, but Kinsley’s levels peaked and remained elevated. Instead of her bile flowing into her intestine, her choledochal cyst reduced the flow of bile, which accumulated and started to pour back into her liver. The timing of the surgery was as important as the procedure. On Oct. 31, Halloween, Kinsley had laparoscopic surgery to remove the choledochal cyst. Approximately five to seven patients per year undergo choledochal cyst removal at Children’s National. Smaller infants typically undergo removal of a choledochal cyst using a large incision (or open procedure). Kinsley was the smallest baby at Children’s National to have this type of surgery performed by minimally invasive laparoscopic surgery, which required a few 3-mm incisions – the size of coriander seeds. Some hospitals use the da Vinci robot, which starts at 8-mm incisions, the size of a small pearl, to conduct this procedure on infants, but this method cannot effectively be done in very small infants. Instead, Dr. Kane prefers to stitch sutures by hand. 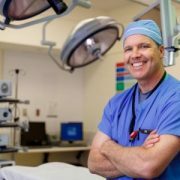 This technique keeps the incisions small and is technically demanding, but Dr. Kane doesn’t mind (he views this as an advanced technical skill). The goal for this surgery was to cut out the abnormal piece of Kinsley’s common bile duct, comprised of the cyst, remove this and then sew the bile duct to the small intestine (duodenum), creating a digestive pathway. The new digestive tube allows for bile to flow from her liver through the common hepatic duct, in place of the pathway where the cyst formed, and into her intestine. Like other surgeries, Dr. Kane needed to adapt the procedure, especially with Kinsley’s size: Taking too much from the bile duct would create a tight space, and could create obstruction, blocking bile, while leaving too much room could create leakage and spilling of the bile, requiring a follow-up surgical procedure within a week or two of the original operation. Dr. Kane had a few options in mind before he operated. He didn’t know which would be most suitable until the operation, but he remained open and prepared for all three. 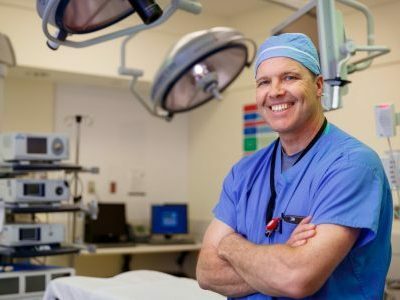 Adopting this mindset, instead of having one procedure in mind, has helped Dr. Kane with precise and tailored surgeries, which often result in the best procedure and a stronger recovery period for young patients. After 4.5 hours, the surgery, a two-part procedure – removing the cyst and recreating a functional bile duct – was complete. Kinsley moved into the recovery unit, where she rested and recovered under close medical supervision for five days. During the first few days, she didn’t have liquids or milk, but she did have two bedside nurses monitoring her status in addition to surgeons making regular rounds. Elizabeth and Steven were relieved: The diagnosis and surgery were over. Before Kinsley left the hospital, Elizabeth and Steven scheduled a follow-up visit to ensure Kinsley was recovering well and avoided risk of infection, such as cholangitis, which can occur suddenly and become chronic. Following Kinsley’s post-surgical bloodwork in early November, Dr. Badalyan noticed Kinsley’s white blood count was high, signaling infection, and he immediately brought the family back to the hospital. To help her body fight the infection, Kinsley received antibiotics and intravenous fluids. She stayed in the hospital for five days. Fortunately, cholangitis is easy to treat with antibiotics; the key is to detect it early. Kinsley returned home in time for Thanksgiving. She came back to the hospital for biweekly visits. At this point, she was filling out, reaching a 2-month milestone and nearing a full recovery. She returned for follow-up visits in December and January – and has been healthy ever since. She will continue to make routine visits during her first year to ensure her white blood count remains in a healthy range. Dr. Badalyan and Dr. Kane envision a healthy future for Kinsley. They don’t expect she’ll need additional operations. Her parents are also looking on the bright side: Since gallbladders aren’t essential for survival or long-term health outcomes, and since many people can easily live without them, Kinsley may be at an advantage. Elizabeth thinks Kinsley may be more cautious about lifestyle choices to support living without a gallbladder, which also support longevity. Another perspective noted by Dr. Badalyan and Dr. Kane is Kinsley’s resilience factor. Having the surgery earlier brought unique challenges, but her age makes it easier for Kinsley to bounce back as her body rapidly develops. 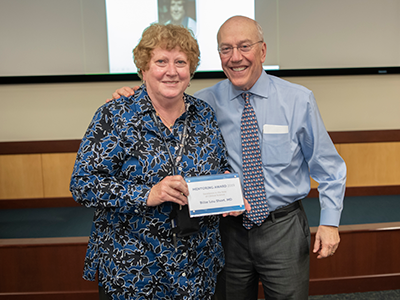 Her tissues were healthy, compared to adult patients undergoing surgery with chronic liver problems or heart disease, which puts her at an advantage for a faster healing process. Dr. Badalyan also mentions that while it’s good for her Kinsley and her family to continue to monitor risks for infections, she won’t have gallstones. Elizabeth also started to notice something that Kinsley’s doctors likely wouldn’t pick up on: Her personality seems to be a result of her hospital experience and stay. Kinsley’s an easy baby. She eats well and sleeps well, which Elizabeth credits to being around clinicians and to learning the art of self-soothing, a skill she likely acquired while recovering from surgery. This month, Kinsley has another adventure. She’ll travel with her parents to visit extended family in Seattle, Napa Valley, Calif. and West Virginia. She has several relatives and family friends, all of whom are looking forward to meeting her. 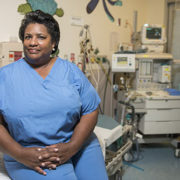 “We are making progress in expanding the number of medicines with pediatric labeling, but we need to do more concerning providing dosing guidelines for children with obesity,” says Janelle D. Vaughns, M.D., director of bariatric anesthesia at Children’s National and the lead study author. Despite years of study and numerous public health interventions, overweight and obesity continue to grow in the U.S. Currently, more than two-thirds of adults have these issues, according to data from the Centers for Disease Control and Prevention. 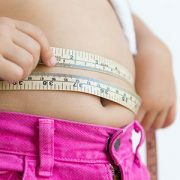 Children and adolescents also are being affected at an increasing rate: About one in five is obese. Obesity and overweight have been linked with a bevy of health problems, including Type 2 diabetes, high blood pressure, coronary heart disease and stroke. Additionally, because obesity increases the percentage of fat tissue in relation to lean tissue and enlarges kidney size, it can affect how readily the body takes up, metabolizes and excretes medicines. This latter issue can be particularly problematic in children, a population for whom relatively few drug studies exist. 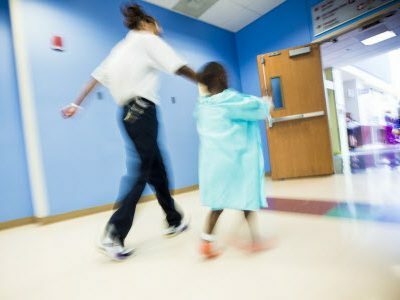 Now, a study team that includes Children’s National Health System researchers suggests that, despite the U.S. Congress providing incentives to drug manufacturers to encourage the study of medications in children, few approved drugs include safe dosing information for obese kids. The study, performed in conjunction with the Food and Drug Administration’s (FDA) Center for Drug Evaluation and Research, surveyed pediatric medical and clinical pharmacology reviews under the FDA Amendments Act of 2007 and the FDA Safety and Innovation Act of 2012. The researchers used search terms related to weight and size to determine the current incorporation of obesity as a covariate in pediatric drug development. Of the 89 product labels identified, none provided dosing information related to obesity. The effect of body mass index on drug pharmacokinetics was mentioned in only four labels, according to the study “Obesity and Pediatric Drug Development,” published online Jan. 19, 2018, in The Journal of Clinical Pharmacology. Study co-authors include Children’s Gastroenterologist Laurie Conklin, M.D., and Children’s Division Chief of Clinical Pharmacology Johannes N. van den Anker, M.D., Ph.D.; Ying Long, Pharm.D., University of Southern California; Panli Zheng, Pharm.D., University of North Carolina at Chapel Hill; Fahim Faruque, Pharm.D., University of Maryland; and Dionna Green, M.D., and Gilbert Burckart, Pharm.D., both of the FDA. 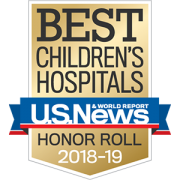 Research reported in this news release was supported by the Eunice Kennedy Shriver National Institute of Child Health and Human Development of the National Institutes of Health under award number 5T32HD087969. By adding antroduodenal manometry to the cardiovascular tilt table test, doctors in the GI Motility Program are able to collaborate with cardiologists to treat both cardiovascular and gastroenterological symptoms in children with complex orthostatic intolerance. Physicians treating pediatric patients with complex orthostatic intolerance issues often face a double whammy – the children exhibit symptoms of their cardiovascular condition, but secondary issues relating to gastrointestinal functions are also common. 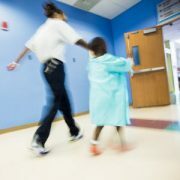 That’s why cardiologists and gastroenterologists at Children’s National Health System have collaborated in recent years to diagnose and find comprehensive treatment solutions for patients with conditions such as neurally mediated hypotension (NMH) and postural orthostatic tachycardia syndrome (POTS). 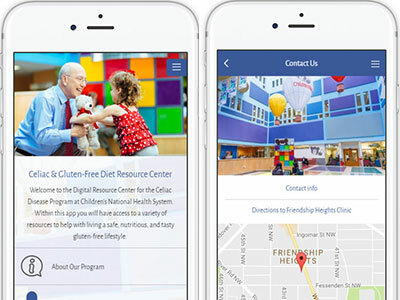 Their innovative team approach was highlighted in a study of their first 35 patients from age 10-23, published in the Journal of Pediatric Gastroenterology and Nutrition last fall – patients who experienced relief for multiple symptoms thanks to treatment at Children’s National. The collaboration is possible because of the advancements in gastroenterological diagnostics here – specifically related to the comprehensive GI Motility testing. While patients with POTS can exhibit an abnormal heart rate, low blood pressure, headaches, fatigue or weight loss, their gastroenterological symptoms like nausea and constipation are often under recognized, says Children’s Director of the Comprehensive GI Motility Program Anil Darbari, M.D., MBA, who co-authored the study with a team including Jeffrey Moak, M.D., Director of the Electrophysiology Program at Children’s. Through antroduodenal manometry of the stomach and upper small intestine, in combination with the cardiovascular tilt table test, the team has been able to more accurately diagnose and treat these patients. 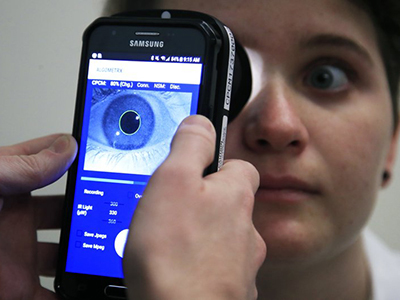 “We have the ability to do them together, thereby making the connection between these two conditions and providing a path for management or treatment,” Dr. Darbari said. Typically, by the time he sees these patients, those with complex medical issues have often seen several other gastroenterologists at multiple centers, and have been through a lot. The study found that overall, antroduodenal manometry was abnormal in 26 of 35 (74%) patients either at baseline or during tilt table testing in subjects with orthostatic intolerance. Darbari and his colleagues concluded that upper GI motility studies should always be part of the comprehensive evaluation for this population of patients, because treating the autonomic condition improved their gastroenterological symptoms as well. What does the future look like for this double-whammy approach? 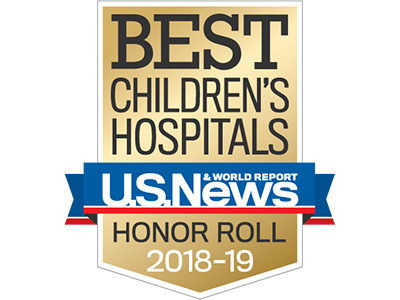 In addition to comprehensive assessment and medical approaches, Children’s National is home to leaders in minimally invasive laparoscopic and endoscopic diagnostic and corrective procedures that have enabled Children’s GI motility specialists and the teams they collaborate with to offer the next level of comprehensive pediatric medical care. 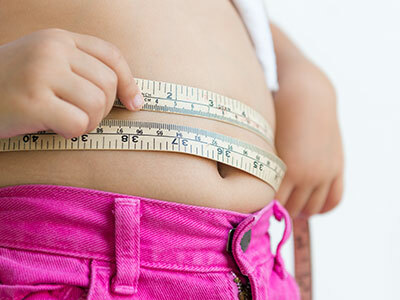 Children’s National researchers are among the top teams examining how obesity alters pharmacokinetics and the effect of body mass index on drug dosing and treatment outcomes specifically for pediatric and adolescent patients. Obesity affects about 12.7 million U.S. children and adolescents – or about 1 in 6 kids across the nation, according to the Centers for Disease Control and Prevention. Despite this, there is a significant dearth of dosing guidelines for practitioners, for example pediatric anesthesiologists, to follow when administering potent anesthetics to pediatric patients who are obese. 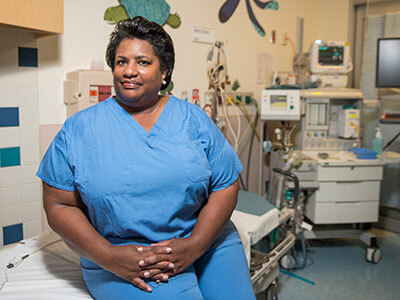 Janelle D. Vaughns, M.D., director of bariatric anesthesia within the Division of Anesthesiology, Pain and Perioperative Medicine, says Children’s National Health System sees pediatric and adolescent patients of extreme weight (as much as 450 pounds) presenting for weight-loss surgery. In order to ensure that patients remain anesthetized during their surgical procedures, anesthesiologists use various classes of drugs, including hypnotics, muscle relaxants and pain medications. 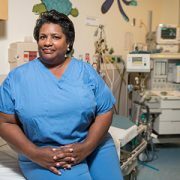 Dr. Vaughns says providers across the nation face similar challenges when determining accurate and precise dosing of drugs for obese pediatric patients. “Medical guidelines calibrated for a 13-year-old of typical weight cannot be applied to a 13-year-old who weighs 400 pounds. Because morbid obesity in kids is a relatively new phenomenon in our country and globally, there are no formal guidelines to aid with dosing. In this scenario, most doctors extrapolate from guidelines written for lean patients. Because anesthetic drugs are so strong, it is essential to use the correct dose in all patients,” she says. A recent brief report that Dr. Vaughns co-authored examines this issue. 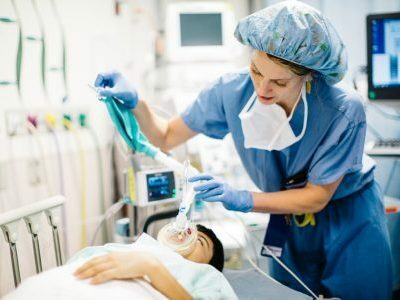 Researchers at Children’s National and the Washington Hospital Center conducted a retrospective review for 440 adult patients who received rapid sequence endotracheal intubation (RSI) in an urban, tertiary care academic Emergency Department. The patients received succinylcholine (a muscle relaxant) and etomidate (a short-acting anesthetic), whose doses are ideally calculated in milligrams per kilogram of total body weight. The work, published in the December 2016 issue of American Journal of Emergency Medicine, reinforced the importance of data-driven guidelines for all patients. The research team found that the 129 obese patients included in the study were more likely to receive too little of the studied drugs while the 311 non-obese patients studied were more likely to receive too much medicine. “Our single-center study demonstrates that obesity is a significant risk factor for underdosing RSI medications, whereas non-obesity is a risk factor for overdosing of these medications,” the research team concludes. This study also was reviewed and featured by the New England Journal of Medicine “Journal Watch” in October 2016. Broadly, the issue of dosing potent medicines for pediatric obese patients is a national public health concern, Dr. Vaughns says. Research teams across the nation have made a concerted effort to publish papers on topics such as how obesity alters pharmacokinetics – how the body takes up, distributes and disposes of powerful medicines – and the deleterious effect of unhealthy body mass index on treatment outcomes for children with diseases such as acute myeloid leukemia. 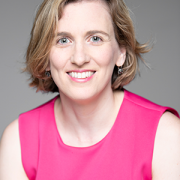 Dr. Vaughns is among the clinician researchers working with the Pediatric Trials Network (PTN), sponsored by the Eunice Kennedy Shriver National Institute of Child Health and Human Development, to fill this research gap. 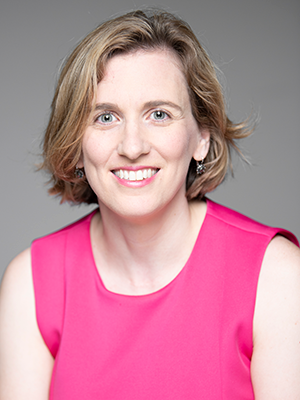 Working as a team, she, Evan Nadler, M.D., a bariatric surgeon, and Johannes N. van den Anker, M.D., Ph.D., division chief of Clinical Pharmacology, enroll pediatric patients in ongoing trials with a special focus on surgical patients who are obese. 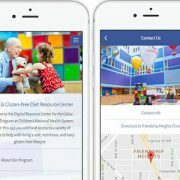 The network is currently conducting pediatric studies at a number of locations, including Children’s National, leveraging blood samples and other specimens drawn during regular care to better understand how medicines routinely used in pediatric patients actually work in kids and to determine appropriate dosing. Ultimately, the information PTN researchers discover from their multi-year studies will help the Food and Drug Administration update medicine labels to reflect safer, more accurate and more effective dosing for all pediatric patients. When other doctors ask Clarivet Torres, M.D., how she is getting the best survivability rates for patients with Short Bowel Syndrome (SBS), she says her success is because of teamwork. The Intestinal Rehabilitation Program (IRP) at Children’s National, started in 2007 when Dr. Torres joined the health system and became the program’s director, has shown 98 percent survivability for patients with SBS over a period of nine years. That’s compared with a recent study from the Pediatric Intestinal failure consortium (Predictors of Enteral Autonomy in Children’s with Intestinal Failure: a Multicenter Cohort Study), which showed that 43 percent of the patients died or underwent transplantation over a median follow-up of 33.5 months. Intestinal failure often prevents these patients from digesting enough nutrients and fluids to maintain proper growth, and they often require parenteral nutrition (PN). Dr. Torres’ team has helped to wean 91.3 percent of patients from PN, compared with the above study, which showed that enteral autonomy was achieved in 43 percent. Based on the outcomes for the first 120 children with SBS treated in Children’s National’s IRP from 2007 to 2016, Dr. Torres says that with meticulous and aggressive medical/surgical management, even patients with advanced liver disease can show improvement in liver functions and nutritional parameters with the ability to discontinue parenteral nutrition and avoid the need for transplantation. Her main focus as director has been spreading the word about SBS across the departments. For example, the ER knows to start IV fluids on these patients right away or to keep watch for sepsis symptoms. 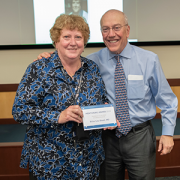 From nurses, pediatric residents, and surgeons to radiologists and the ER, Dr. Torres has encouraged the sharing of knowledge and teaching how to respond to SBS patients. Members of the IRP includes, a dedicated surgeon, Anthony Sandler, M.D., and four supporting GI doctors (Parvathi Mohan, M.D., Vahe Badalyan, M.D., Sona Sehgal, M.D., and Muhammad Khan, M.D.). Other important members are one physician assistant, two nurse practitioners, two coordinators, one dietitian, one social worker, one case manager, and devoted nurses who work in the specialized Intestinal Rehabilitation Unit. Having a dedicated director and surgeon also is a new perspective. 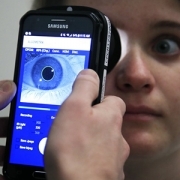 Focusing on this group of patients allows Drs. Torres and Sandler to become experts in the medical and surgical management of the patients with short bowel and intestinal failure. The goal of the IRP is to optimize bowel function through the use of multiple therapies and to eventually wean patients with intestinal failure from parenteral nutrition. The medical treatment focuses on comprehensive dietary management with very precise control of metabolic balance and prompt and effective treatment of complications. Pro-adaptive surgery, such as stoma closure, ostomy in continuity, stricturoplasty, enteroplasty, and autologous gut reconstruction, with the longitudinal intestinal lengthening and tailoring (LILT) and serial transverse enteroplasty (STEP) procedures, may produce dramatic clinical improvement in patients with SBS. The use of specialized enteral feeding programs by the experience medical team helps to maintain nutrition and hydration, which are important factors in long-term survival. Other important components of the program are ongoing parent education and support, and promoting an optimal quality of life. Intestinal transplantation with MedStar Georgetown University Hospital is an option for patients who fail treatment. 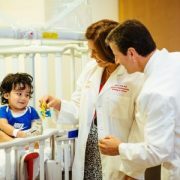 “The Intestinal Rehabilitation at Children’s National provides children with intestinal failure the chance to receive comprehensive medical and surgical care, giving them the chance for improved long-term survival, including weaning from parenteral nutrition and avoidance of the need for transplantation and long-term immunosuppression,” Dr. Torres says.